Natural resource management is highly complex, affecting not only biological values, but also social, cultural, economic, and other values in nearby communities. To address these factors, policies directing natural resource management often mandate public involvement. The idea is to bring the people who will be affected to the table and give them an opportunity to weigh in on decisions. Stakeholders want to be involved. Decision-makers desire meaningful public input. But creating processes that can gather and use stakeholder input in a meaningful way requires specialized skills. 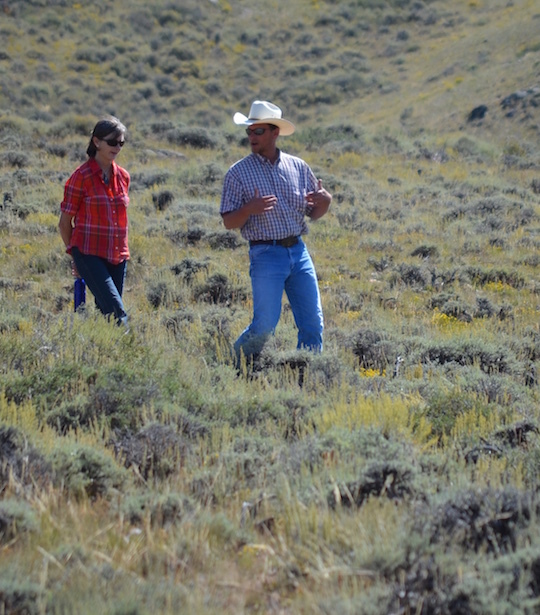 The Ruckelshaus Institute’s Collaboration Program in Natural Resources, or CPNR, is building collaborative capacity for natural resource decision-making in Wyoming. Every spring we welcome a cohort of 12–16 mid- and upper-level professionals into this year-long training program. Participants attend five hands-on learning sessions where they receive professional training in negotiation, facilitation, leadership, and collaborative processes. They also design and map out a practicum, a real-world collaborative process that could be applied in their own communities. Graduates of the program have the option to earn academic credit through the University of Wyoming Outreach School. Our graduates go on to lead collaborative problem solving processes throughout Wyoming and across the West, ensuring that natural resource management decisions are more inclusive, consider more community and stakeholder needs, and will be more robust and longer-lasting than they could ever be without collaboration. Read an article about CPNR in the winter 2017 issue of UWyo magazine. CPNR alumni may be interested in further coaching in collaborative practice, available through Lupine Collaborative. Now accepting applications for the 2019 Collaboration Program in Natural Resources. Deadline to apply is May 1, 2019. Read the recruitment flier or view the 2019 CPNR prospectus and application form. Graduation and final presentations for the 2018 cohort will take place in Saratoga Springs, Wyoming, April 10–12, 2019. Acquire the participative leadership skills necessary to effectively participate in natural resource multi-party collaborative processes. Acquire the facilitative leadership skills necessary to convene, facilitate, and sustain progressive collaborative problem-solving processes. Scroll through below to see some of the course materials. Thanks to generous support from the Walton Family Foundation and Rocky Mountain Power, we are offering scholarships to help cover tuition costs for participants who might not be able to otherwise participate. Please indicate your interest in financial assistance on the application form. A senior research scientist in human dimensions of natural resources at the Ruckelshaus Institute, Dr. Western brings expertise in collaborative governance and collaborative learning related to forests, wildlife, recreation, public lands, and other resources. She previously co-directed the Colorado Forest Restoration Institute at Colorado State University. She has created and facilitated collaborative processes related to natural resource issues for more than 15 years in Colorado, Wyoming, and Montana. Professor and Spicer Chair in Collaborative Practice, also at the Ruckelshaus Institute, Dr. Smutko co-teaches the CPNR training sessions. He has designed, convened, and facilitated numerous public policy decision processes on natural resources issues in the Rocky Mountain West and the southeast United States. Dr. Smutko also conducts research in collaborative decision-making and teaches courses to University of Wyoming students and to natural resource stakeholders in environmental decision making and negotiation analysis. The Collaboration Program is supported by the Spicer Family Foundation, with additional support from the Rocky Mountain Power Foundation.